The Commonwealth has assigned a team to observe Zimbabwe's forthcoming elections. In May, President Mnangagwa wrote to Commonwealth secretary-general Patricia Scotland expressing interest, in principle, in rejoining the association, and requesting the Commonwealth to observe its forthcoming elections. Zimbabwe pulled out of the organisation made up primarily of countries that were once part of the British Empire in 2003 following disagreements over land reform and the country's electoral processes. However, ever since being sworn into office, President Mnangagwa has gone on a re-engagement onslaught, thawing relations with the West and declaring that the country is now open for business. In a statement yesterday, the Commonweath announced that former Ghanaian president John Dramani Mahama will lead a 24-member team to observe the July 30 elections. In May of this year, President Mnangagwa wrote to the Commonwealth's Secretary-General, Patricia Scotland, expressing an interest in rejoining the association, and requesting the Commonwealth to observe its forthcoming elections. Said the Commonwealth Secretary-General: "I am extremely pleased to be deploying a group to observe the elections. "Its report on the electoral process will give member-countries a clear view of adherence to Commonwealth values in Zimbabwe, including democracy and rule of law plus protection of human rights such as freedom of expression. "Our heads of government have said twice, in 2009 and 2011, that they look forward to Zimbabwe's return. I very much hope that the forthcoming election proves that the conditions are right." In April, Britain said it would strongly support Zimbabwe's re-entry to the Commonwealth and praised President Mnangagwa for impressive progress since former president Mr Robert Mugabe resigned in November last year. President Mahama has previously led the Commonwealth teams observing elections in Sierra Leone and Kenya. The team will submit its report to the Secretary-General, who will send it to the Government of Zimbabwe, Zimbabwe Electoral Commission, political parties and all Commonwealth governments before it is made public. Members of the observer team are: Mr Gary Dunn (Australia), Mr Darrel Bradley (Belize), Rev Mpho Moruakgomo (Botswana), Dr Fonkam Azu'u (Cameroon), Ms Sabrina Grover (Canada), Prof John Packer (Canada), Prof Kwadwo Afari-Gyan (Ghana), Hanna Tetteh (Ghana), Mr Jayanta Roy Chowdhury (India), Judge Margarette May Macaulay (Jamaica). Others are: Justice Willy Munyoki Mutunga (Kenya), Advocate Mary-Ann Ooi Suan Kim (Malaysia), Dr Francis Agius (Malta), Mr Tim Barnett (New Zealand), Ms Andie Fong Toy (New Zealand), Ms Clare A Keizer (St Vincent and The Grenadines), Ms Marcella Sesay Samba (Sierra Leone), Ms Janet Love (South Africa), Mr Nikoli Edwards (Trinidad and Tobago), Prof Sylvia Tamale (Uganda), Lord Robert Hayward (United Kingdom), Baroness Margaret Jay (United Kingdom), Judge David Radford (United Kingdom). The Commonwealth observer group will arrive in Zimbabwe on 23 July 2018, and will be supported by a nine-member staff team from the Commonwealth Secretariat, led by Katalaina Sapolu, director of the governance and peace directorate. If readmitted, Zimbabwe stands to benefit multi-laterally and bilaterally from other member states. 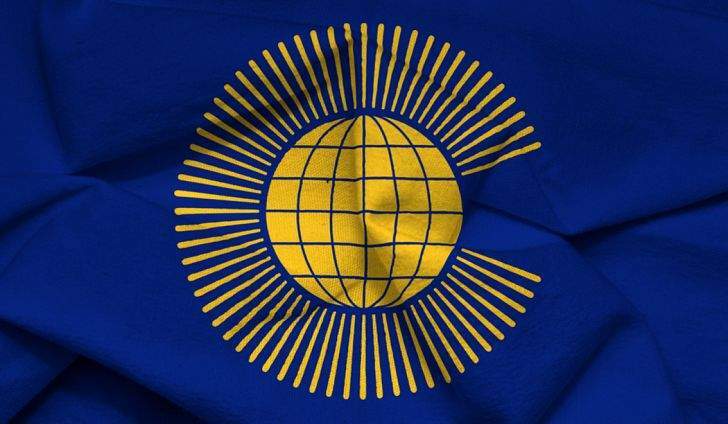 The Commonwealth bloc comprises 2,4 billion people in 53 countries, with a cumulative GDP set to reach $13 trillion in 2020. Trade among Commonwealth countries rose to over $600 billion in 2015. On average, Commonwealth members tend to trade 20 percent more and generate 10 percent more foreign direct investment flows than otherwise. Overall bilateral trade costs between Commonwealth countries were 19 percent lower on average than with other countries.